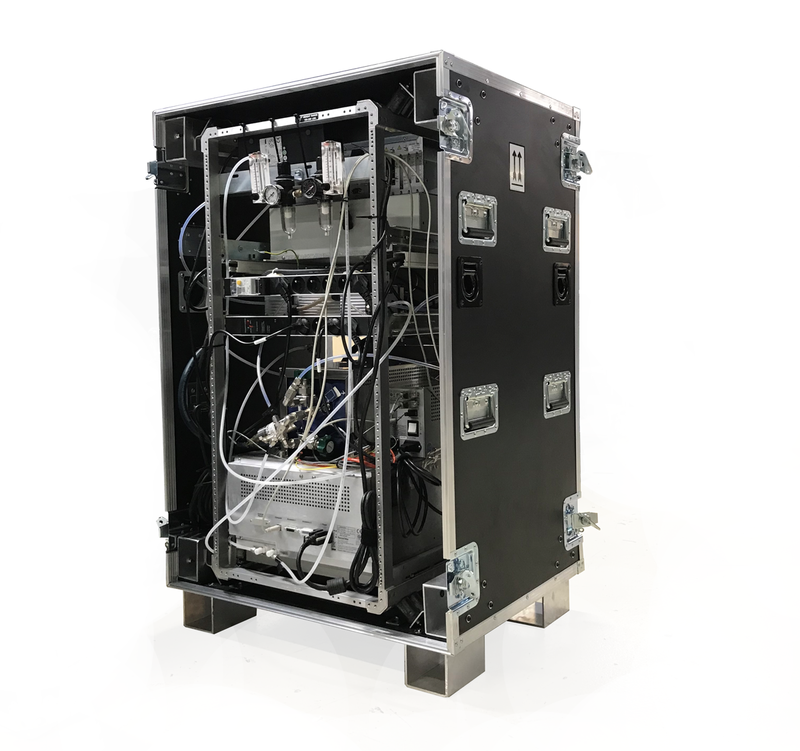 Flightcases International A/S offers a worldwide design and manufacturing service for high-performance, ruggedised cases and racks used in transport, operation and storage of essential equipment for commercial and military applications. Many of our products are accredited to MIL-STD-810, rated IP65 and carry NATO stock numbers. Flightcases International A/S has over 40 years of expertise producing protective cases, 19-inch rack solutions and bags from rotomoulded plastic, aluminium, laminated plywood with sophisticated CNC foam internal fittings. We build to a wide range of standard sizes, in addition our design team can create a custom solution to suit any application you and your product requires. Flightcases International A/S Rack products are successfully used worldwide in a huge variety of applications. Our solutions are trusted by the professionals when they need their kit to arrive on time, ready for action, every time. Custom industrial Rack comes as a fixed rail version or with the chassis suspension-mounted on 8 rubber anti-vibration mounts. Both come in a professional black plywood, laminated surface, plastic or composite material. With our special composite material you can reduce the total weight with up to 50 % compared with a Rack made of plywood. We offer a wide range of optional extras, such as dishes, ventilation, wheel boards and support shelves, are also available. Finished with a protective and strengthening aluminium edge, Custom Industrial Rack comes in a range of sizes from 2U to 40 U.